15"W x 60"L. Wooden handle with a steel rake head. 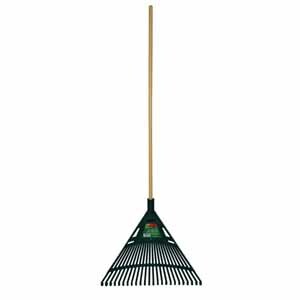 This rake is ideal for spreading earth and levelling the ground. Useful in gardens, flower beds, and other areas. BSO108 Rake, Metal, 11-Tine, 8"